The Antaeus Theatre Company has announced that it will break ground for a new cultural arts center in Glendale on June 11 at 10 a.m. The City of Glendale has approved plans submitted by the company to transform a 7,600 square-foot retail building at 110 East Broadway into an intimate, yet comprehensive performing arts facility. Renovation is expected to take place over the course of a year. The new Antaeus cultural arts center will be located in Glendale’s growing downtown Art and Entertainment District, east of Brand Blvd. and across from the Americana, which features ample parking, attractive outdoor spaces and pedestrian access. It will house an 80-seat theater and a 40-seat black box, as well as a lobby gallery and a classics library. Renowned theater designer John Sergio Fisher is the architect. The Antaeus board of directors and the company’s ensemble members, who together share a passion for Antaeus’ artistic mission and community engagement, have already raised a substantial portion of the funds required, in collaboration with local individual and institutional donors. A capital campaign (Play On!) is being launched to raise the $1,000,000 still needed for the renovation. Antaeus is a multiple award-winning cooperative theater ensemble founded to empower the actor and to bring classical theater to the greater Los Angeles area. The company exists to create a family of artists and audiences and is dedicated to exploring stories with enduring themes. Renowned for its practice of “partner casting” all of its productions, audience members never see an understudy and frequently return to see the same play in the hands of an equally gifted but very different set of actors. Other signature programs include Antaeus’ tri-annual ClassicsFest reading series, and its acclaimed arts education and outreach programs for students, educators and audience members that connect the essentially human elements in classical texts to contemporary issues and ideas. Speakers at the June 11 event will include City of Glendale Mayor Ara Najarian and Antaeus member Kurtwood Smith, as well as representatives from theDowntown Glendale Association, the Glendale Chamber of Commerce and the Armenian American Chamber of Commerce. 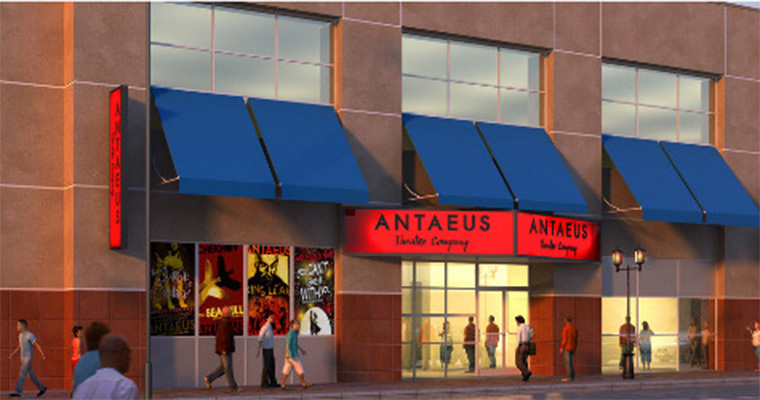 In the interim, Antaeus will continue to produce at its 49-seat theater on Lankershim Blvd. in North Hollywood that it has called home for nine years. Picnic by William Inge is scheduled to run June 25 through Aug. 16, with Uncle Vanya set to open on Oct. 15.